Sell Your House Fast In Chapin, SC. We Buy Houses For Cash. We Buy Houses So You Can Sell Your House Fast. How Would You Feel If You Got An Offer In The Next 24 Hours? Your house may even need a crazy amount of repairs, but frankly, we don’t care. Because we buy houses in any condition and in all price ranges. We have the house buying process down to a science. We’ve done our homework and have funds ready now to buy more houses. That’s why we can give you a fair offer today and then close in less than 30 days. So you can sell your house fast. If you would love to sell your house fast, then we would love to give you a fair written offer. No hassles. No pressure. No waiting. 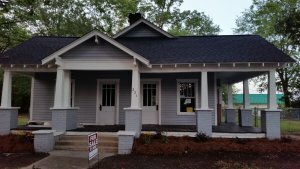 How to sell your house fast in Chapin, SC. We use our own funds. That really speeds up the process. We can buy a house in less than 30 days. So you will not have to wait months and months to get your house sold when you call us. It’s easy to sell your house fast when you sell it directly to us. We’ve removed the headaches that usually come with selling real estate. We take care of the closing details. We are real estate buyers. We buy houses in “As Is” condition. We can pay all cash and close in less than 30 days. When you accept our fair written offer, your headaches and waiting will be over. Then you can move on with your life. There are a lot of companies who buy homes quickly in Chapin so what makes us any different? We can help by giving you a fair written offer to buy your Chapin property. Our crews can do all the cleaning and repairs and painting that it may need. You get cash at closing and will no longer be tied down with that property. If you simply don’t want to put up with the hassle of owning that house any longer, and if you don’t want to put up with the hassle and time-consuming expense of selling your property the traditional way, let us know about the property you’d like to be rid of and sell your house fast for cash. Talk to someone in our office before submitting your property information by calling us today at 803-592-2353. Can You Get Your House In Chapin Back After Foreclosure?